A few days have passed since my original post on the subject, and since then there are reports the emails from six more employees are missing. Let’s recap shall we? I’m trying to keep it short and sweet, and the same facts apply to the six other employees who have “missing” emails. First, do you really expect the government to be efficient and competent when it comes to IT infrastructure and document retention policies? Come on now! This is the federal government, specifically the IRS … they can screw up just about anything and everything! 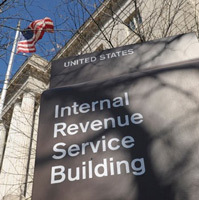 The IRS – like many large companies – does not back up employee laptops or desktops. This is not unusual. They back up network drives, database infrastructures and mail servers. Prior to the May 2013 litigation hold, the IRS only kept six months of tape backups of email servers. The tapes were recycled and used again. It was the employee’s responsibility to determine which emails needed to be archived or printed when it came to document retention policy. In 2011 it was not inexpensive to do a complete forensic reconstruction of a hard dive. It is still not easy or inexpensive. In my opinion, the IT staff was being kind to Lerner and making an active, but not emergency effort to recover “personal” documents as a favor. At that time there was no criminal investigation and no litigation hold on hardware or data. There was no reason to start an expensive effort to retrieve the data on the drive. I’m not saying it could not have been done, just the opposite really. It could be done, but the need at the time did not justify the cost. The drive was effectively tossed in the trash in August, 2011. When an employee “archives” email, that archive (Outlook PST file) is placed on the employees local computer by default. You can specify where the PST file is placed and the name of the PST file, but most people would just select the default location, which is not easy to find in the future. As mentioned before, employee laptops and desktops are not backed up. For that file to be backed up, the employee would have to specify the PST file is created on a network dive, or would need to find the correct Outlook PST file and move or copy it to a network drive that is backed up. Lerner and any other IRS employees who did not move their PST archive files to a network drive would lose the data if their hard disc crashed. Lerner probably did not follow the rules when it came to document retention polices since she did not move the PST files to a network drive that was backed up. If the IRS policy was to just keep the PST files on a local computer, that’s just stupid. Employees should have been provided instructions on how to properly store those files so they are backed up. But again, leaving PST files on a local drive is not unusual. I find the explanation completely plausible. Please don’t use emotion to argue against my conclusion. Come up with facts. Don’t say “the emails are easily found on a server somewhere” when we know the IRS was only keeping six months of backups prior to May 2013. The emails certainly may exist at the other end of the communication. The people who sent email to Lerner and those who received emails just might have the emails on their computers or on the servers of other agencies. That’s going to take a long time to put that together. Get over it. But I’m certain there are a few federal government employees willing to take up the task … it’s guaranteed work for a couple of years. The Executive Branch, FBI, FEC and IRS email systems are all separate, so for the IT departments to coordinate and get everything put together could take years. I suspect the 24,000 emails dated between Jan.1, 2009 and April 2011 that were provided to the committee were internal IRS emails. Again, since the email systems are separate, it would be harder to get the emails sent to or from other agencies. We should have all of Lerner’s emails starting in mid-July, 2011 when her computer crashed. Do we? What was the IRS policy about archived PST files? Was their specific guidelines and checks in place to ensure employees moved those files to a network drive where they would be backed up? Do you disagree with my conclusion? That’s cool. With the information that has been presented, please send me an email using the Contact page with your step-by-step explanation as to how you think this went down. No emotion, just make your case as to how it happened. I’ll publish your conclusion in a new post if it is plausible. It will likely not make a difference to some but you are probably 100% based on my IT experience, except that I’ll add that it’s entirely possible Lerner didn’t even violate policy by not storing the pst files on a network drive as it’s very possible they didn’t have a policy like that, I know many companies don’t. As far as the 6 month rotation that isn’t such an issue either as in most cases the data accumulates it doesn’t get removed so the backup contain what was there a year ago plus the last 6 months of crap. But the 6 months allow them to go back to 6 months worth of copies. Data sprawl is a major issue in many places. Many of our users have 30GB or larger documents folders on the network, and we have shared network drives with tons of GB. Trying to get anyone to take some ownership and tell us what we can archive off is nearly impossible. We run into storage issues all the time. Yup. In my experience, no instructions – or a policy – on having to move or copy a PST file to a network drive. I just knew it and tried to get my team to do it themselves. Still amazed how many people kept important working documents on their desktops. On today’s show, Jim asked listeners to evaluate the IRS scandal with Benghazi….complex response is needed. If you have read The Shadow Party, two things happening now are part of book’s points. First: the over-running of our borders by illegal kids…create the problem, discuss the problem, justify what you want to do as excuse to “solve” the problem. This is pure Saul Alinsky…Horowicz uses McCain Feingold as his example of this strategy. Second; create a shadow party by giving power to agencies while removing it from the gov direct. Ex. Congressmen were TOLD they could visit the kids but no cameras, etc…by a gov. agency…who were not elected. Congress just wiped the spit from their face. Then, the VA scandal…”we can’t fire anyone” more spit in the face of Congress. And now the fiasco of the “lost emails”…not just spit but sent with ridicule and disdain. And Congress just allows the Exec branch take the power….the shadow party rules…from Jarrett on down. Horowicz was so right. So, agencies acting with disdain and disrespect for one branch of our gov. trumps the Benghazi fiasco, which, however, is another example of the shadow party in action. You IT cognizant guys can gnaw over the technical stuff. I simply expect better from an agency that is charged with administering our tax code. (Flat tax on a post card, any one?) Oh, and having a $1.8 billion budget, along with $300 million for their IT upgrades. It’s not surprising that these people can’t find this or that, that hardware is trashed or even that they see nothing wrong with that. It is just plain arrogance on the part of these crony bureaucrats. These lost or destroyed emails speak to a pattern of conduct prevalent in our government and one that the current regime seems to delight in exploiting. As an example, how forthcoming was the regime about the Fast and Furious gun-running scheme — Dept. of Justice and the ATF and, the WH? Hmmmm, one scandal after another: Benghazi Controversy — the State Department and the WH; the AP phone records scandal — the Justice Dept. and the WH; the XL Pipeline –the WH playing politics again; Sequestration, gun control, even the big, black Obama bus — all scandals from the WH and all featuring Obama. In each instance, records provided are either very late in being disclosed or are woefully incomplete or are redacted to the point of uselessness. …points of IT but I see a pattern of criminal behavior from our elected officials and blatantly partisan regime bureaucrats, aided, of course, by the lap-dog liberal media. Hmmmmm, I suspected there are many people and other agencies that each have have some of the emails in question. It becomes a question of them actually producing what they have. Hopefully, this crack in the wall will expand and release a flood of emails. Until then, the IRS and the Obama regime are laughing their a**** off. Arrogance! How come you can post hot links? I can’t… not since the update. On my I Pad it’s easy. Bring up the article, copy it and write your comment here and paste the article. Steve – I read your post twice, and can’t disagree with your findings. But do want to add that the gubmint, while they can screw up anything, doesn’t do most of their own IT infrastructure support. I don’t know what the current mix is at Treasury, but can almost guarantee that they outsource much/most IT. Alphabet soup contractors – many without credentials other than being 8(a) – have a large chunk of these responsibilities but still report to Agency management (the ones with the lifetime pension). Untangling who is responsible, what tools they use(d) and what the repercussions are for not meeting contract requirements is another story…. Good catch! You advance a very good point. One thing I learned in science a long time ago: Absence of evidence is not evidence of absence. I applies to politics as well. I couldn’t care less about giving these crooks the benefit of a doubt. I’m reading about no refusal blood draws in Oregon which is looked at as a national model by NHTSA, and an uncontrolled influx of undocumented Democrats in the the southwest. They sure can manage to enforce the tax code though! 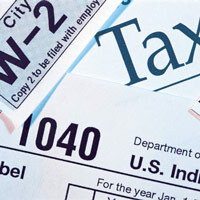 The IRS collected about $2.52 trillion in FY 2012. Their budget is nearly $2 billion, plus incidentals like bonuses, travel and exorbitant salaries for the top (1%) of its executives. No wonder the political appointees are arrogant and corrupt. It’s all about confiscating the most money and sucking up to Obama and the Democrats so that they stay employed after the One relinquishes power. Another topic all together: Will he go quietly or will he not…? Could it be that political appointees and career bureaucrats are come in all sorts of party flavors and are not all arrogant and corrupt? Nahhhh! It is the proportions of the “party flavors” that is the problem. I am sure *nobody* ever accused the IRS of being arrogant. The evidence for the corruption is on our plates now.